K-Beauty and Cult Beauty Products from around the world. Skincare Products that work. Sourced directly. Shipping to Ireland & Europe. Snail secretion filtrate (a lot less offensive than it sounds), has been slowly creeping its way into the industry mainstream – acquiring a devoted following amongst those-in-the-know, who’re devoted to its unparalleled skin-regenerative benefits. An all-round problem solver, Mizon's All In One Snail Repair Cream is a nutritive treatment that targets all of the common complexion concerns. 'Slime' is produced by snails to protect their busy bodies from cuts, bacteria, UV radiation and the elements - accelerating cellular repair and renewal processes, to quickly 'un-do' damage and optimise cell efficacy. With 92% snail secretion filtrate, this rich yet nourishing potion is perfect for dulled, lined, blemished or irritated skin types - soothing inflammation and fortifying skin to dramatically enhance its tone, texture and overall lustre. Manyo Factory's Bifidalacto Complex is a well-known dupe for the Estée Lauder Advanced Night Repair serum. Whilst it would be very hard to knock Estee Lauder's ANR serum off the top spot, we thought we would highlight the similarities and the added benefits of Manyo Factory's version so you can decide for yourself! Galactomyces as a skin care ingredient - what you need to know. Korean women are known for their youthful and flawless skin. This is the result not only of their strict skincare regime but also thanks to the innovative ingredients used in their skincare products. One such ingredient is Galactomyces (pronounced "galacto-my-says"). 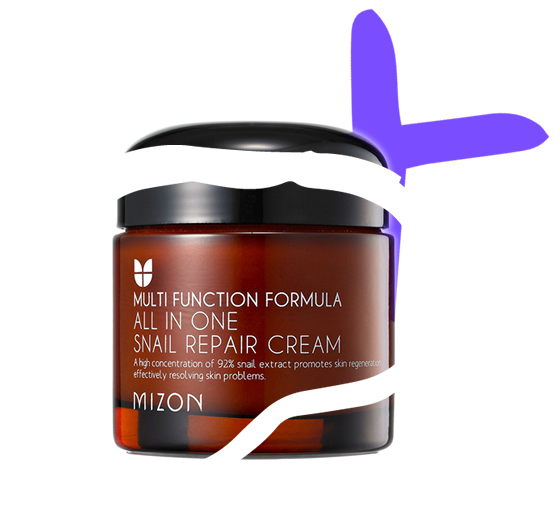 This is actually a type of fungus (sounds disgusting but Mizon includes a range of products containing snail mucin filtrate which also gives amazing results, so it’s worth a try!). the highest quality Korean skincare products and the latest beauty trends and innovations. South Korean women are serious about skincare and as a result are renowned the world over for their beautiful skin. Not only do they adopt an extensive 8 - 10 step beauty regimen daily but the products they use contain exciting and innovative ingredients used by the South Korean skincare manufacturers (snail secretion filtrate and egg white to name but a few) to meet the demands of their consumers. Beauty innovations therefore tend to be born in South Korea with the rest of the world following suit. Damsel are delighted to introduce the cult Korean skincare brand Mizon to Ireland as their debut brand which means that flawless skin needs no longer be exclusive to the South Korean women.